The numbers are definitive: over the long term, there's been no better way to grow your wealth than investing in the stock market. And thanks to the internet, it's never been cheaper or easier to open a brokerage account and start investing. Take a look at our reviews below to see which broker is right for you. TD Ameritrade stands out as one of our top rated all-around brokerages with outstanding tools and products, in-depth and comprehensive research, and no account minimums. 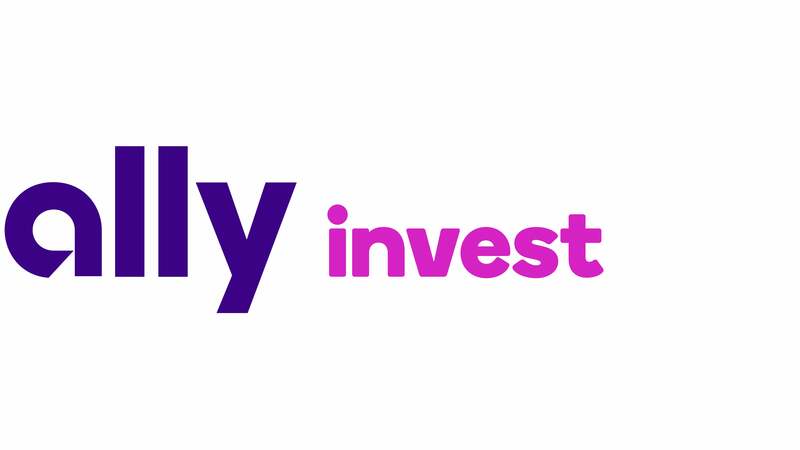 Ally Invest impresses with low commissions and $0 account minimums. It's a great choice for those looking for an intuitive platform from which to make cheap trades. Merrill Edge sports low overall fees, strong research offerings, and fantastic customer support. It's a solid option for all investors, and especially attractive for Bank of America customers. Get up to $600 bonus when you invest in a new Merrill Edge account. E*TRADE manages to cater to active traders with multiple trading platforms, while also appealing to long-term investors with thousands of mutual funds and ETFs that can be traded for free. Get up to $600 plus 60 days of commission-free trades with qualifying deposit. Fidelity combines low commissions, top-notch research, and an excellent mobile app, all in a simple platform. With $0 account minimums and zero-expense-ratio index and mutual funds, this is one of the most affordable brokers. Schwab has aggressively slashed fees on its mutual funds and ETFs, eliminated common account fees, and lowered its base commissions to just $4.95 per trade, making it extremely affordable. You can think of stockbrokers as conduits to the stock exchanges. In exchange for a commission on every trade, they send your orders on to stock exchanges and market makers, which actually do the heavy lifting of matching your buy order with someone who wants to sell, and vice versa . You and I can’t knock down the door to the stock exchanges and make a trade ourselves without a broker. In truth, the stock exchanges as we think of them from their depictions in movies and on TV don’t really exist today. Believe it or not, most trading actually takes place between computers located in dimly lit server rooms in New Jersey, a few miles away from New York City’s financial district. Just as the process for processing stock trades has changed, the terms we use for the people and businesses who facilitate trades has changed, too. Today, instead of using the term “stockbroker” as an all-encompassing term for any person or firm that deals in stocks, we generally divide companies into two categories: “discount brokers” or “full service brokers,” labels that better describe what they actually do. Discount brokers -- Online brokers are discount brokers. They aren’t in the business of giving you advice or phoning you up with stock picks. Instead, discount brokers simply focus on the very basic service of helping you buy or sell a stock (or other type of investment) when you want to from the convenience of your own home. Because discount brokers forgo many of the frills, they can price their services at rock-bottom prices. Many of our favorite online discount brokers charge $5 or less to place a stock trade, a fraction of traditional brokerages charge. In addition, discount brokers also tend to have lower minimum investment requirements, some with no minimums at all, making them accessible for everyone. Full-service brokers -- Firms we label “full-service brokers” are more closely related to the stockbrokers of days gone by. Full-service brokers often employ human brokers who can help you make a trade, find mutual funds to invest in, or make a retirement plan. That said, full-service brokers are costly, since people are inevitably more expensive than computers. A popular full-service broker charges a minimum of $75 to place a stock trade, which can jump as high as $500 or more to buy a large amount of stock. Buying a mutual fund through a full-service broker can potentially set you back thousands of dollars, since they often charge fees equal to a portion of the amount you invest. Full-service brokers are more likely to have higher account minimums; some advisors only work with clients who have $1 million in assets or more! Realistically, the lines between the two types of brokers are slowly starting to converge. Discount brokers now have wealth management services that offer the help of a human advisor at a full-service price. Some full-service brokers also offer a basic level of service at discounted prices. 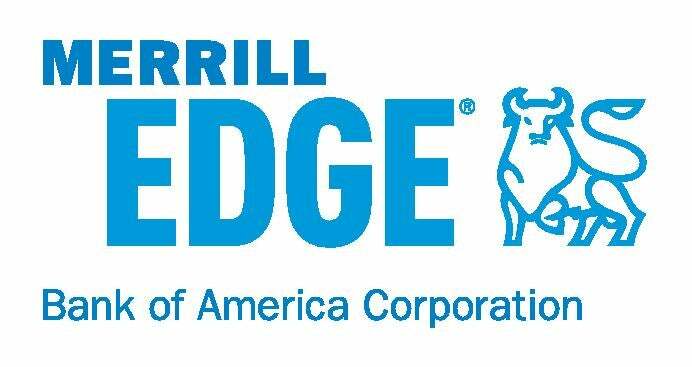 Merrill Edge is the discount brokerage arm of the full-service brokerage Merrill Lynch, for example. Ultimately, it comes down to how much service you need and what you’re willing to pay. As self-directed investors who pick our own stocks and funds, we’re biased by own our experience -- we view the cost savings of a discount broker as being far more valuable than the personalized service of a full-service broker for our own portfolios. We recognize that one brokerage can’t be the “best” choice for every single investor, so our view is that the best discount broker should thread the needle between offering the most functionality and perks at a price point that won’t break the bank. Commissions and fees -- The key advantage of any discount brokerage firm is cost. Investors have come to expect that placing a trade won’t cost much more than $5 to $7. In addition to a low price for every trade, we also prefer brokers who don’t charge a monthly or annual fee just to have an account. Account minimums -- We think having a low minimum account size is advantageous, particularly for beginning investors who plan to start small and add to their accounts over time. Investment choices -- While most brokers offer roughly the same solutions for buying individual stocks on American exchanges, we think it’s important for a broker to have a large selection of funds to choose from, too. Research and screeners -- One key feature of having a brokerage account is that you can get access to a second opinion when you need it. Many brokers offer a full suite of third-party research as well as stock and fund screeners to help you sort through thousands of stocks and funds on key parameters like their price-to-earnings ratio, or the annual fees of investing in a fund, for example. The online brokerage industry is still in its early days, but it’s becoming increasingly clear that discount brokers are here to stay. That’s because discount brokers are able to offer 90% of the service and functionality of a full-service broker at a price 90% lower than their higher-cost peers. Self-directed investors who are capable of choosing their own stocks and funds can save a fortune by using an online discount broker. Even today, many brick-and-mortar brokerage firms charge as much as $150 or more just to place a single trade to buy a stock. Online discount brokers charge $5 to $7 for the same basic service of placing a trade. Research -- Many discount brokers offer access to research from S&P, Moody’s, Morningstar, and other third-party research providers. No-cost funds -- While it costs money to place a trade to buy stocks, many brokers offer thousands of mutual funds and exchange-traded funds that you can buy without paying a commission, transaction fee, or loads. Funds sold by full-service brokers often carry fees knowns as loads, which can add up to as much as 5% of your investment capital. That means you could pay $250 in fees just to invest $5,000 in a load mutual fund. We prefer brokers that offer a long line of no-load, no-transaction-fee mutual funds you can invest in for free. Low minimums -- Whereas some financial advisors and full-service brokerage firms often have certain minimums (say, $100,000), most discount brokers require a minimum account size of $5,000 or less. Many discount brokers have no minimums at all. 24/7 support -- Many brokers have customer service agents available around the clock. So, whether you need help placing a trade, or assistance to understand your latest mutual fund statement, you can get the help you need with a simple phone call any time of day. Access to your money -- Discount brokers are often banks, too. One key advantage to having an account with a discount broker is that they offer free checks or ATM cards that allow you to withdrawal cash from your account as if it were an ordinary bank account. The best brokerage largely depends on how you invest. Investors who invest solely in individual stocks and ETFs would want to seek out different features than investors who use mutual funds alone, for example. Researchers have concluded that an investor should own as many as 30 stocks in order to have a truly diversified portfolio. Thus, investors who want to build a portfolio of individual stocks may want to focus on the cost of trading, as the difference in price can add up quickly when investors place as many as 20 to 30 trades just to set up their portfolio. Ally Invest, Fidelity, and Schwab are the low-cost leaders for stock trades, given all trades are priced at just $4.95. Investors who use mutual funds or ETFs may want to prioritize a broker with a larger selection of funds to choose from. E*TRADE doesn’t have the lowest commission for stock trades, but it offers thousands of mutual funds, as well as 250 commission-free ETFs (including Vanguard ETFs, which are some of the most popular choices for self-directed investors). Ally Invest joined the party recently and now offers over 100 commission-free ETFs on its platform, as does TD Ameritrade. The best broker for mutual funds is a toss up, as many regard Schwab and Fidelity as the leaders for the fact they offer more than 10,000 different funds. Schwab has thousands of no-transaction-fee funds with $100 minimums, which makes it a favorite for beginning investors. Of course, convenience also plays an important role. Merrill Edge is a popular choice among investors who use Bank of America as their checking or savings account provider, since the two accounts can be easily linked, and the brokerage firm offers free trades to Bank of America customers who keep a certain minimum balance. With a full research department, Merrill Edge customers benefit from getting access to Bank of America Merrill Lynch research reports and more on more than 1,000 different companies. While some brokers have minimum account requirements, the amount you need to get started as an investor has more to do with what you invest in than where you open an account. Mutual funds -- Due to the paperwork and backend work of maintaining accounts, many mutual funds have minimum investments of around $1,000, though there are some notable exceptions to the rule. Fidelity now offers some of its mutual funds with no account minimums. Exchange-traded funds (ETFs) -- One advantage of ETFs is that they trade like stocks, thus the minimum to invest in them is the price for one share. The largest ETF in the world, SPDR S&P 500 ETF Trust, which owns all 500 stocks in the S&P 500 index, trades for about $275 per share. Many other ETFs have lower share prices, trading for $100 or less. Stocks -- Just like ETFs, the minimum amount to get started investing in stocks is the price of one share. Shares of Ford recently traded for $11 each, while Facebook shares trade for about $200, and shares of Amazon traded for more than $1,700. Commission prices usually guide investors who are just getting started. Many new investors start with commission-free ETFs and no-transaction-fee funds as a way to invest in a diversified portfolio with less than $1,000. Once an investor has a sufficient amount of capital, it can make sense to start investing in individual stocks and pay the small commission price on every trade. The table below shows how commission prices scale down as the amount you invest in each stock increases. For example, an investor who pays $5 to buy just $100 of stock would incur trading costs of 5% of the amount they invest. Importantly, you incur a commission to buy and sell individual stocks and ETFs that are not commission-free. We like to think about trading costs in terms of how much an investment would have to appreciate in value to cover the cost of buying and selling it. If you pay a $5 commission per trade, and buy $1,000 of stock at a time, the stock would have to appreciate by just 1% to pay for the trading commissions. However, if you were buying $100 of stock at a time, the stock would have to rise by 10% to pay for the commissions. This is why investors tend to stick to commission-free ETFs and no-load, no-transaction-fee mutual funds while accumulating assets. On small amounts of money, avoiding commissions is often the best way to generate a higher return after all the costs are taken into consideration. Your broker will ask what kind of trade you want to make when placing your order. The first type of order is a “market order,” which is essentially an order to buy a stock at whatever price it takes to find sellers who want to sell enough stock to fill your order. You can think of this order as a time sensitive order, where getting the order filled quickly takes precedence over the price at which your shares are bought or sold. The second type of order is a “limit order,” which is an order to buy or sell a stock only at a specified price. Shares of Disney (DIS) currently trade for $110 each, but you might only want to buy it if it falls to $100 or less. Placing a limit order to buy Disney stock at $100 per share tells your broker to buy the stock only if you can get it for $100 per share. If you’re stuck on which type of trade is better, it’s a good idea to default to a limit order. That’s because you can have the certainty of knowing the price before the order is completed. In contrast, there’s no way to know with certainty at what price you will buy or sell stock if you use a market order. When trading less popular stocks, market orders can be simply dangerous. If you place a market order to buy 3,000 shares of a stock that only trades 100 shares a day, your order could easily move the price higher by several percentage points, forcing you to pay more than you wanted to for the stock. Trading volumes are the highest in the first 30 minutes of a trading day (9:30 a.m. to 10:00 a.m. in New York City) and in the last 30 minutes of a trading day (3:30 p.m. to 4:00 p.m. in New York City). So, if there were ever a “safer” time to place a market order, the first and last 30 minutes of the trading session would be the time to do it. Here at The Ascent, we provide expert reviews that highlight the things that actually matter when making decisions that affect your personal finances. We've published thousands of articles on sites like CNN, MSN, and Yahoo Finance, and sometimes we even get talked into putting on a tie to appear on TV networks like CNBC and Fox. But don't worry: you'll find that our reviews are all jargon-free and written in plain english. As investors who manage our own portfolios through online brokerage firms, we have personal experience with many of the most popular online brokers which informs our view on brokers, how they compare, and pitfalls to look out for.